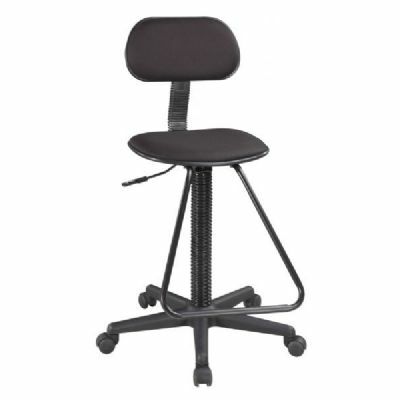 Black upholstered seat with height- and depth-adjustable backrest. Pneumatic cylinder lift mechanism adjusts height from 21" to 26". Molded foam seat.